An original and impressive little cottage tree house in the middle of nature, this is the Blue Cone in the Treehotel in Sweden. 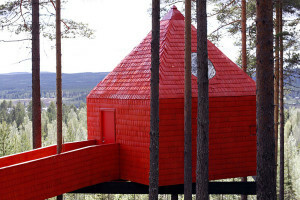 This building has designed by the Swedish architect Sandell Sandberg. The tree-room, very simple in its design, has a traditional wood structure, typical of the mountain cottage, with tree foundations in the ground to give stability but also to raise the house up from the ground. 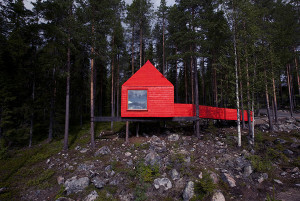 Maybe this is the first tree-room of the Treehotel that doesn’t camouflage with nature, but has an its own personality and you can see it every time and with any weather, thanks to its red colour. 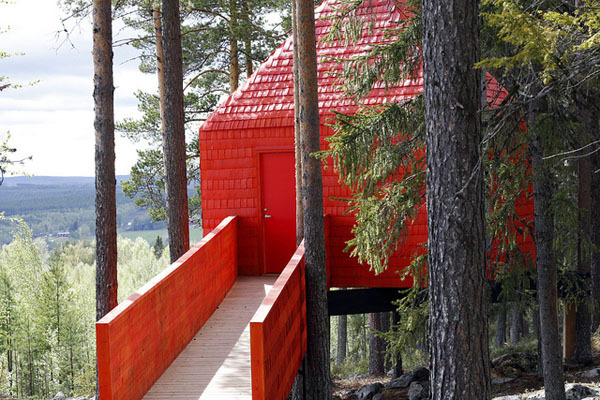 People can reach the room via a bridge, Treehotel insists saying that this tree-room is also suitable for people with disabilities! 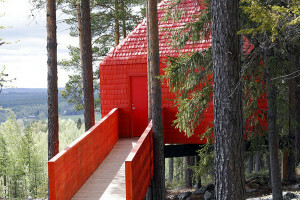 The walls are clad with laminated birch wood coloured red, while the interior in contrast is of white timber. 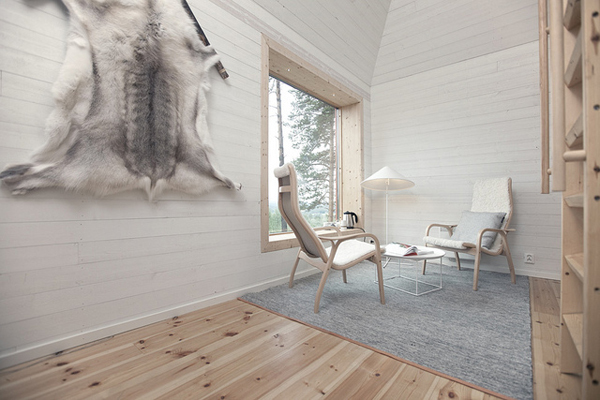 So if outside you have the sensation of dynamicity and possession thanks to the red colour, inside you can have feelings of relax, peace and calm thanks to the white colour. 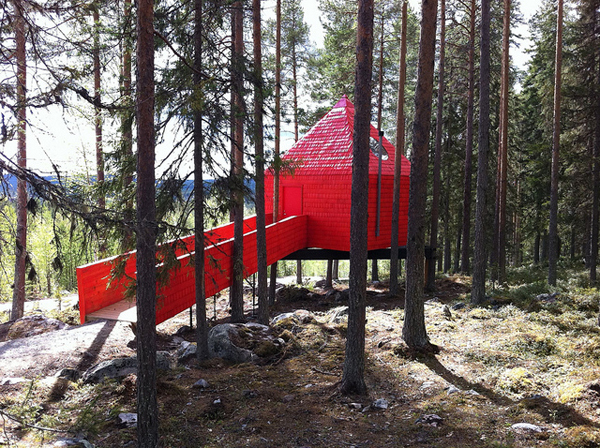 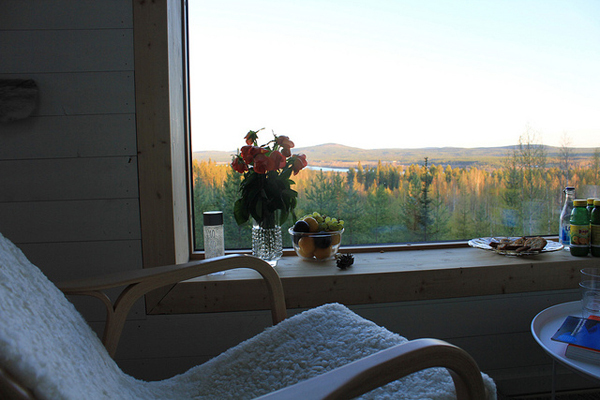 This tree-room is 22 m² with four beds (a double bed and two single), a bathroom and a living room. People can see the surroundings from a big window or from a circle window in the roof, from which you can see the sky during the night or the trees during the day!